Today, the highly criticised Copyright Directive has been voted by the European Parliament, with 348 MEs in favour and 274 against the reform. The reform includes the controversial articles 11 and 13 which introduce the so called “link tax” and an obligation for online platforms to filter uploaded content. European citizens’ efforts to persuade the MEPs to vote against the reform and re-consider the negative consequences of the controversial articles have been unsuccessful. The European DIGITAL SME Alliance deeply regrets that the voices of million Europeans and SMEs have not been heard. The last step following this European Parliament vote is in the hands of the Member States that will have a final vote at the EU Council meeting on the 9th of April, although at this stage a U-turn is highly unlikely. 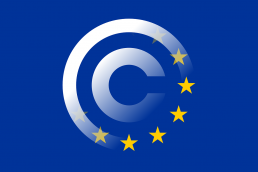 Is the CopyRIGHT directive really RIGHT for SMEs and Start-ups? EU copyright reform: charging tech giants or putting breaks on digital SMEs?